IF YOU ARE HEAVY, it could be making you sick and tired and age prematurely. And I don’t mean heavy with fat … I mean heavy with heavy metals–like mercury. Unfortunately, toxic mercury problems are common. Along with polar bears, beluga whales, ducks, otters, panthers, and all river fish as well as most large ocean fish, we humans are poisoning ourselves with mercury at ever increasing rates. There’s no doubt about it, mercury is the most alarming, disease-causing source of environmental toxicity that I see daily in my practice. Many of patients have toxic levels of mercury–and they’re not alone. I personally suffered from mercury toxicity and chronic fatigue syndrome–which I cured myself from, in part by getting rid of the mercury in my body. So I know about this first hand. I became toxic because I polluted myself by growing up on tuna fish sandwiches, eating sushi, living in Beijing, which heats all its homes with coal–the major source of environmental mercury load–and having a mouthful of amalgam (a.k.a. mercury) fillings. I felt weak, tired, and couldn’t think. I had muscle pain and twitches, insomnia, digestive problems, food allergies, depression, and anxiety. And it was only by discovering high levels of mercury in my hair and urine — and slowly detoxifying myself — that I was able to get better. Mercury is lipophilic, meaning that it concentrates in fatty tissues, especially in the brain, which is made mostly of fat. This is such an important public health and personal issue for so many people I want to fully explain the extent of mercury issues and give you a comprehensive plan for reducing your exposure and healing from mercury toxicity. I’ll show you the science behind mercury toxicity, share some stories about my patients who have suffered, and talk about the way we need to deal with this major health problem. First, I’d like to share with you what I learned at one of the most important international conferences on mercury yet to be held. It was called “The Impact of Mercury on Human Health and the Environment” and was presented at Tulane University School of Public Health and Tropical Medicine in New Orleans. There, a unique international group of policymakers, environmental scientists, toxicologists, biochemists, journalists, academic physicians, practicing pediatricians, neurologists, and dentists gathered. We were there to make sense of the environmental impact, toxicology, basic science, public policy and health implications of one the least studied and perhaps greatest potential threats to our long-term health–mercury. And I want to share some of what I learned at that conference with you. Barry Kohl, Ph.D. is an adjunct professor in the department of Earth and Environmental Sciences at Tulane University. At the conference he provided a unique overview of the impact of industrialization on environmental mercury levels through a description of the levels of mercury in the ice core extracted from the pristine Freemont Glacier in Wyoming. There were small peaks in mercury concentration in the ice core from the 1815 Tambora volcanic eruption in Indonesia, the 1850-84 gold rush in California where mercury was used for smelting, the eruption in 1883 of the Sumatran volcano Krakatau 10,000 miles away, and the more recent Mount St. Helens eruption in 1980. Over all, the changes in environmental mercury levels have been dramatic. Over the past 100 years, there has been a 30-fold increase in mercury deposition, 70 percent of which is from human sources. In fact, there was an exponential peak in mercury occurring in the last 40 years due to major industrialization. Much of this mercury comes from coal-fired industrial plants and from chlor-alkali plants that use mercury in the process of making chlorine used in plastics, pesticides, PVC pipes, and more. One note of hope was the reduction in industrial mercury emissions from 220 million pounds to 120 million pounds a year over the last 10 years. But that’s small consolation when we’re talking about a substance that is toxic in parts per million, not in millions of pounds. And the more mercury we are exposed to, the more we are likely we are to be toxic. Harvey Clewell from the ENVIRON Health Sciences Institute, Ruston, Louisiana, reviewed the epidemiologic studies from the Seychelles and Faroe islands. He showed that your risk of toxicity increases with higher doses of mercury. Now, there are different types of mercury. Nearly all human exposures to one type, methylmercury, come from fish. In the Seychelle Islands, there seemed be little effect on kids from mercury; however their fish consumption was predominately from low-risk small reef fish that don’t contain much mercury. On the other hand, in the Faroe Islands people eat whale blubber, which contains high levels of mercury — over three parts per million. There, high levels of mercury were found in umbilical cord blood and correlated with reduced performance in neurologic testing in 917 mother-infant pairs. The health effects from methyl mercury upon infants and children depend on the dose. Severe symptoms start with exposure to doses of 100 mcg/kg/day, mild symptoms with more than 10 mcg/kg/day, and sub-clinical symptoms with less than 1 mcg/kg/day. These symptoms include late development in walking and talking and decreased performance on neurological tests. Dr. Clewell also reviewed the limitations of various forms of testing for mercury. Methylmercury (also called organic mercury) is found predominately in red blood cells, which is what doctors check when they do a blood test for mercury. But unless you’ve been eating fish with mercury recently, you won’t see your total body level of mercury. Plus, mercury is lipophilic, meaning that it concentrates in fatty tissues, especially in the brain, which is made mostly of fat. That means that blood levels aren’t an accurate measurement of total body burden of mercury. Inorganic mercury from dental fillings (amalgams) is found in plasma but is rapidly cleared and stored in your tissues. Inorganic mercury is also converted from methylmercury by the body and is the main form of mercury in brain, which can lead to dementia, autism, ADHD and more. All of these are reasons you need to get comprehensive testing done to assess you total mercury load. I will review the test you need in a moment, but first I want to talk about how mercury gets in your body and what it does to your body and brain. We get mercury in our bodies from many different sources including mercury vapors in ambient air, ingesting it via drinking water, fish, dental amalgams, vaccines, occupational exposures, home exposures including fluorescent light bulbs, thermostats, batteries, red tattoo dye, skin-lightening creams, over-the-counter products such as contact lens fluid and neosynephrine, and more. You absorb about 80 percent of inhaled mercury vapor and nearly 100 percent of the mercury in fish through your gut. Once this mercury is in your body it is then primarily distributed in the kidneys and brain and can be readily transferred to the fetus via the placenta. The only way it can get out of your body is via urine, feces, expired air, and breast milk. The major reason it is toxic to human biology is because mercury has the ability to bind to sulfur-containing molecules in the body (found in nearly every enzyme and in the mitochondria), as well as other chemical binding sites in the cells. We’ve learned a lot about how this mercury effects us and our children from reported exposures to mercury over the last 100 years. These include epidemics such as the Minimata Bay exposures in Japan, acrodynia or pink disease in children from calomel (HgCl) used in teething powder, “mad hatter syndrome” or erethism, and methylmercury fungicide grain seed exposures in Iraq and Pakistan. The symptoms and diseases these exposures have caused are varied and mimic many other conditions. Nervous system toxicity can cause erethism (“mad hatter syndrome” as mentioned above) with symptoms of shyness; laughing, crying, and dramatic mood swings for no apparent reason; nervousness, insomnia, memory problems, and the inability to concentrate. Other neurologic symptoms may include encephalopathy (non-specific brain malfunction), nerve damage, Parkinsonian symptoms, tremor, ataxia (loss of balance), impaired hearing, tunnel vision, dysarthria (slurred speech), headache, fatigue, impaired sexual function, and depression. Kidney toxicity leads to proteinura (protein in the urine) and acute renal failure. Gastrointestinal symptoms include nausea, vomiting, diarrhea, and colitis. Skin toxicity causes allergic dermatitis, chelitis (cracked corners of the mouth), gingivitis (gum disease), stomatitis (sores in the mucous membranes of the mouth) and excessive salivation. Clearly, mercury toxicity is VERY serious business! One of the more controversial sources of mercury toxicity is dental fillings. 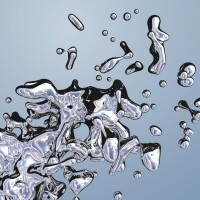 Silver dental fillings, or amalgams, contain inorganic mercury. Mercury exposure from amalgams is estimated to be between 3 to 17 micrograms per day from chewing, brushing, grinding, and even slow corrosion. Questions have arisen about whether or not this amount is toxic … I am going to clear up the confusion here. First, the duration of the study was short and the effects subtle. Second, they failed to emphasize the significance of the fact that the kids who had the silver fillings had much higher levels of mercury in their urine than the kids with white fillings. This is one of the most important details of that study, because it proves that mercury fillings in your mouth release mercury vapor that is absorbed into your body, ending up in your urine. It is deposited in your organs, including your brain, where it accumulates over time. Whether your fillings are new or old, the mercury in them is constantly absorbed into your body. And even if you stop being exposed to that mercury, it sticks around. It takes up to 18 years for the body to clear half of the dose of mercury from the body. Once mercury is in the body it comes out only VERY slowly. In fact, people with amalgam fillings have significantly elevated blood mercury levels, three to five times more mercury in the urine, and two to twelve times more mercury in their tissues than those without amalgam fillings. However blood and urine mercury levels don’t necessarily relate to the mercury load in your body tissues or severity of clinical symptoms. Research on sheep and monkeys with dental amalgams has shown that blood mercury levels remained low — even though their tissue mercury levels were raised. Urine mercury levels aren’t much better as an indicator of your total mercury load. They mainly reflect the cumulative dose of inorganic mercury in the kidneys and there exists only a very weak correlation with levels in other target tissues. Another speaker at the conference, Mike Robichaux, a practicing dentist, reviewed his experience with removal of amalgams fillings. He showed a remarkable video of mercury vapor being released from a 25-year-old tooth. You can watch it on the website of the International Academy of Oral Medicine and Toxicology. But other dentists aren’t so concerned. In fact, the American Dental Association still says it is safe to use mercury or silver fillings. That’s something I’ve always wondered about, since the Environmental Protection Agency (EPA) considers old mercury fillings that have been removed from the body toxic waste that has to be disposed as such. Let me put this another way. It’s apparently all right to put mercury fillings in your mouth — but not to throw them out in the garbage! The danger of amalgam fillings has been confirmed by research from around the world. At the conference, Anders Lindvall, M.D., from the Foundation for Metal Biology in Sweden, reported his work on the health effects of dental amalgams and presented a review of the controversial literature on dental amalgams and human health. Besides conventional measures of quality of life and symptoms, unique laboratory assessments were used to determine the presence and immunological toxicity of metals. One was PIXE, an accelerator-based test on single blood cells that assesses intracellular levels of trace elements, which showed that, in lymphocytes (white blood cells), mercury is found in the nucleus, particularly in places where zinc is low. 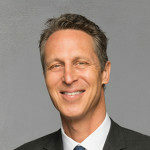 Dr. Lindvall’s patients were treated with antioxidants (B complex vitamins, vitamins C and E, and selenium); infections and jaw dysfunction were addressed; and selective removal of any incompatible dental material was performed using low-emission amalgam removal techniques and bio-compatible materials to replace the amalgams. The cost of these procedures was covered by national health insurance. Laboratory follow up at one year showed over 70 percent of patients reported significant improvement in symptoms after amalgam removal! The clinic was closed after the study was published, so there was no further access allowed to the records, which contained over 1,000 untreated patients who could have served as a control group. And since 1999, amalgam dental restorations in Sweden are no longer covered by insurance. But Dr. Lindvall’s study still suggests that silver amalgams can cause health problems — and that removing the fillings can help relieve these problems. And other studies have had similar effects. Plus, we know that mercury levels in the human placenta correlate with the number of maternal amalgam fillings — and a substantial amount of mercury from amalgams reaches the fetus. In contrast to their higher mercury exposure during pregnancy, these autistic children had reduced mercury levels in their first haircut (mercury exposure can be measured in human hair). This may reflect a reduced capacity to excrete mercury from their body, which in turn may lead to elevated brain mercury levels. And approximately 20 percent of the general public may experience sub-clinical central nervous system and/or kidney function impairment due to amalgam fillings. When taken collectively, the research forces us to question the safety of dental amalgams. In my view, there is no doubt about it … they are a danger. Some of us are very good at detoxifying mercury and other toxins, while some of us store toxins like a toxic waste dump. Genetic variations (called polymorphisms) make some people more prone to metal toxicity. One gene in particular is very important because it’s related to the body’s production of glutathione, our most powerful detoxifier and antioxidant. Your body can only excrete mercury when it’s bound with glutathione. The polymorphism of the gene that controls the enzyme glutathione-S-transferase (GSST) prevents excretion of mercury. That is the gene problem I have that led to my mercury toxicity. When that happens, the mercury stays in tissues and does damage. Plus, mercury also binds to key enzymes that help us produce glutathione — in effect helping itself accumulate in our bodies. ApoE 4 is known as the “Alzheimer’s gene.” It also promotes heart disease. ApoE 4 reduces detoxifying activity. This means that people with this gene can’t get rid of mercury from their brains, contributing to its toxic effects on this organ. I know this all sounds very depressing. And it is. But the good news is that there are things you can do to reduce your exposure — and identify if you have toxic levels of mercury. So let me sum up what we learned in this week’s blog and offer some suggestions for reducing your exposure. Industrial exposure to mercury is significant and mostly comes from coal burning (220 million pounds a year) and chlor-alkali plants. The only way to find out your total body load of mercury is to take a medication with sulfur molecules that binds to the mercury like fly paper. This is called DMSA or DMPS. This test should ONLY be done by a trained physician and involves taking one dose of this medicine, followed by a 6- or 24-hour urine collection to see how much comes out. (In my opinion, the most reliable testing is done by Doctorsdata.com). If you are toxic and sick, you may consider addressing your dental health by seeing a biological dentist who can safely help you deal with mercury in your mouth. Going to see a conventional dentist who drills out your fillings without any precautions or protection can lead to serious health consequences. I strongly advise against it. However, amalgam filling removal CAN be done safely and effectively done by a dentist trained in the correct techniques. In this related post, I’ll give you more advice on how to safely eliminate the mercury in your body if you find you are toxic. Finding out if you are poisoned by mercury, limiting your exposures, and getting the mercury out of your body is absolutely critical if you want to achieve lifelong vibrant health. If you would like to read more of the extensive research on the biologic effects of mercury and toxins on human health, please link to this extensive online bibliography. If you have any doubt about the evidence of harm across a broad range of health conditions of mercury, you must do your homework and review the research yourself. Do you think mercury toxicity is a legitimate health concern or a bogus problem? Do you have any symptoms of mercury toxicity and what have you done about them? Have you asked your doctor about mercury toxicity and if so, what was his/her response? Are you exposed to many sources of mercury? What could you do to reduce your exposure? (i) Lindh U. Removal of dental amalgam and other metal alloys supported by antioxidant therapy alleviates symptoms and improves quality of life in patients with amalgam-associated ill health. Neuroendocrinology Letters 2002; 23(5/6):459-482. (ii) Stejskal V. Metal-specific lymphocytes: biomarkers of sensitivity in man. Neuroendocrinology Letters 1999;20:289-298.